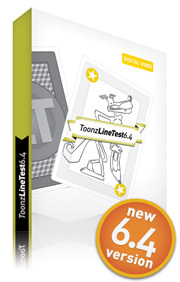 You can try Toonz Premium 7.4! Click here to download the 15 days trial license! Toonz Premium replaces Toonz Harlequin Studio and contains all the Harlequin features. It can be used for raster and paperless productions (either raster and vector based). Like Harlequin, also ToonzPremium contains all the Bravo! features. • Advanced inknpaint features based on proprietary colour mapped format, it allows full control on colour changes, with NO NEED TO REPAINT at any step of the production. • Animation tools, like Plastic to create animations based on mesh deformation or the Skeleton one, very useful for puppet animation. • Wide collection of Special Effects, enriched by a very powerful 2D particles system and by Shaders Effects, created using the OpenGL Shading Language (GLSL). Toonz Premium is the meeting point of the traditional and paperless animation production work flows; it provides state-of-the-art tools for both the approaches for endless creative possibilities, and allows you to follow your personal approach to computer-assisted animation fast-forwarding tedious and time-consuming steps. To receive additional information contact us at sales@toonz.com for commercial questions or at support@toonz.com for technical ones. as best Animated Feature Film, at the Academy Awards 2016! C’est en 1999 que Folimage et Toonz ont débuté leur collaboration, sur les courts et les longs-métrages du studio. Pour Phantom Boy, nouveau long-métrage de Jean-Loup Felicioli et Alain Gagnol, le choix de travailler une nouvelle fois avec TOONZ 7 s’est imposé naturellement. En effet ce logiciel est adapté à notre mode de fabrication « fait main » et permet d’obtenir un rendu de très grande qualité. In 1999 Folimage and Toonz began their collaboration on short and feature films produced by the studio. 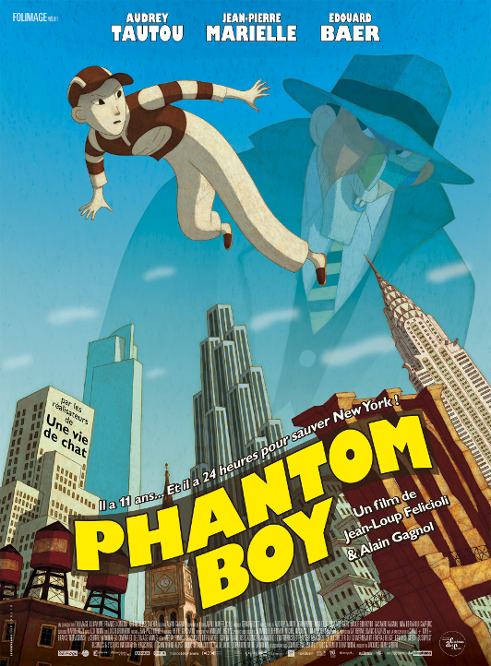 For Phantom Boy, new feature film by Jean-Loup and Alain Gagnol Felicioli, the choice of working with Toonz was natural. Indeed this software is well suited for our way of making "handmade" cartoons and provides a very high quality rendering. 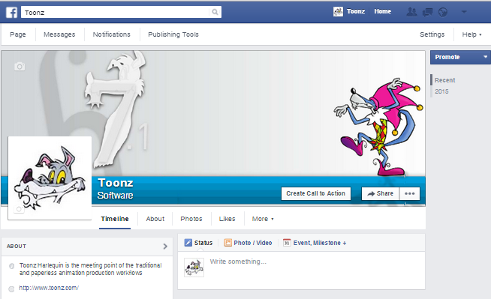 Go on the Toonz page to be aware about Toonz news! enjoy the Toonz Harlequin main features! Explore our tutorials page or the YouTube Toonz channel. Download tutorial materials to learn how to work efficently both Paperless or in Traditional way. Experiencing problems using the request link? as best Animated Feature Film, at the Academy Awards 2015! Toonz Harlequin, the software for producing traditional and paperless 2D animation software, and Toonz Bravo, the ideal tool for paperless 2D animation at an affordable price, now support multiple languages for the software interface. Available languages are: English, French, Italian and Japanese. Plastic really brings your images to life! Digital Video enters the mobile world by releasing its first iPad App: Plastic. All the knowledge used for the development of the powerful Plastic tool, present in Toonz 7.1, have been brought in the Plastic App that lets you easily animate photos or drawings and share your animation with your friends. No drawing experience is necessary: load an image, build a skeleton structure and animate this structure deforming the image. Unleash the artist inside you and challenge your friends by sharing your animations! With the 7.1 release a set of new features increased the flexibility and power of Toonz. Be sure you don't miss some interesting features, and discover what is now available! A new powerful tool is available for Toonz users: Plastic. And for giving you a preview of what it is capable we posted a video for showing it. Easy to use and extremely flexible Plastic will give you a new way for building your animation unleashing your creativity! A workbook with material for learning the traditional animation workflow in Toonz. Available in three versions: Student, Standard and Pro. A new version with multi languages support. New release available with support for scanning drawings.